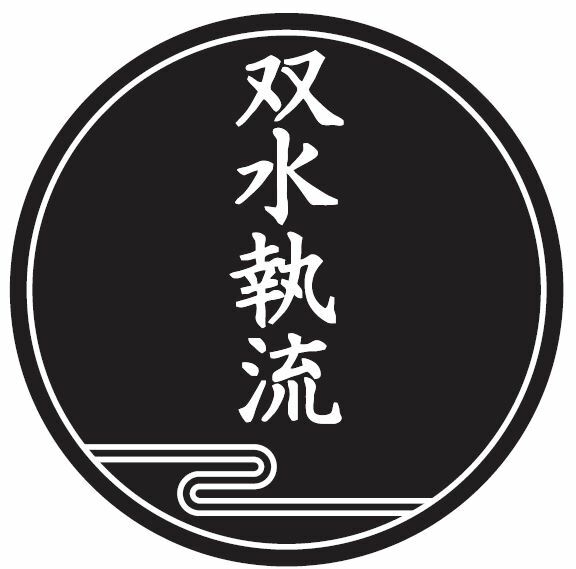 Traditional, authentic Sōsuishi-ryū Kumi-uchi (Jujutsu) and Koshi-no-mawari (Iaijutsu) (双水執流組討腰之廻) are taught by authorised instructors in Kumataka Dōjōs across Australia, under the auspices of the Sōsuishi-ryū Jujutsu Kai Australia (SJJK-AUS). Our practice is overseen by Shitama Manzo, Dai Shihan and 16th familial inheritor of this 360-year old ryūha. 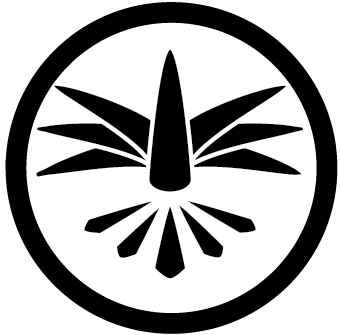 The SJJK-AUS is the Australian branch of his organisation, the Sōsuishi-ryū Jujutsu Kai. The Hombu Dōjō is the Shadanhōjin Sekiryūkan, located in Fukuoka, Japan. This is one of the oldest dōjōs in Japan and is both a koryū jujutsu and jūdō dōjō. All mokuroku certification comes directly from him, after personal assessment. Keikokai are located in Epping (NSW), St George (NSW) and Bayswater (WA). All of our dōjō sensei have been taught, assessed and promoted by Shitama Sensei, at his Sekiryūkan Dōjō. We return regularly with our students for continuing instruction and assessment. While numerous groups and individuals claim to practice Sōsuishi-ryū Jujutsu, few actually do. 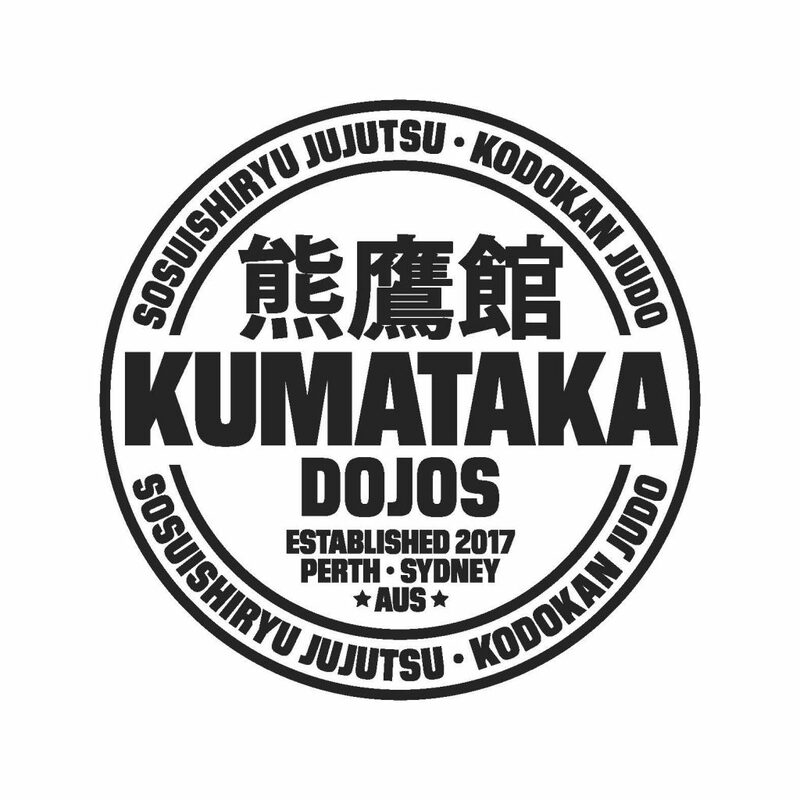 The SJJK-AUS is the only organisation endorsed by Shitama Manzo Sensei to represent or practise Sōsuishi-ryū Kumi-uchi and Koshi-no-mawari in Australia. The Directors are Peter Williams, Kyoshi and Thomas Crooks, Kyoshi. The Sōsuishi-ryū Jujutsu Kai Australia maintains up to date records of all recognised dōjō, instructors and members, and administrates the legitimate practice of the art in this country. 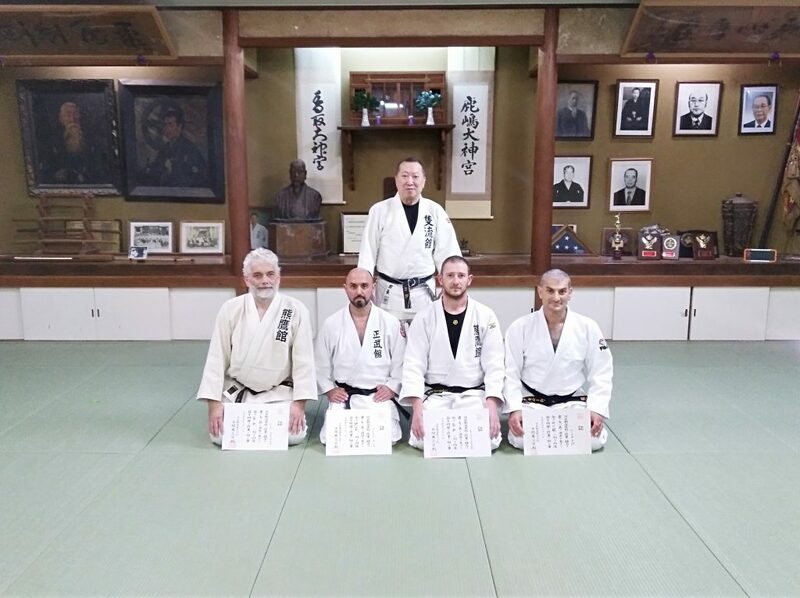 SJJK-AUS instructors receiving promotions from Shitama Sensei at Sekiryūkan Dōjō, November 2018. Please see SJJK-AUS Locations for the whereabouts of Kumataka Dōjōs keikokai, or explore the Kumataka Dōjōs website for more information about the art, our organisation, its sensei and for links to our Facebook and Instagram presence.